We have great news for GMAT aspirants! We have integrated GMAT Video Lessons within Studycopter’s Interactive GMAT Course to make GMAT Prep more effective for students than ever before. Video are now a part of our Study Module and students can learn from math video lectures from the world’s finest teachers at Khan Academy. 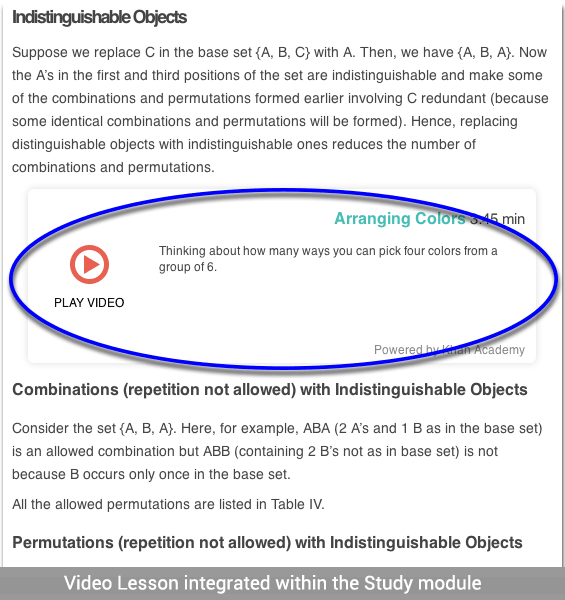 All videos have been handpicked so students can learn from videos in conjunction with written Study Material. Studycopter GMAT video lessons cover GMAT concepts, step-by-step strategies to solve questions, solved examples, tips & tricks, and more. Currently, the videos work on the Studycopter website. Studycopter’s android app will be made compatible with our videos very shortly. Have comments on our Video Lessons? We’d love to hear from you.